GREEN COBB!!! 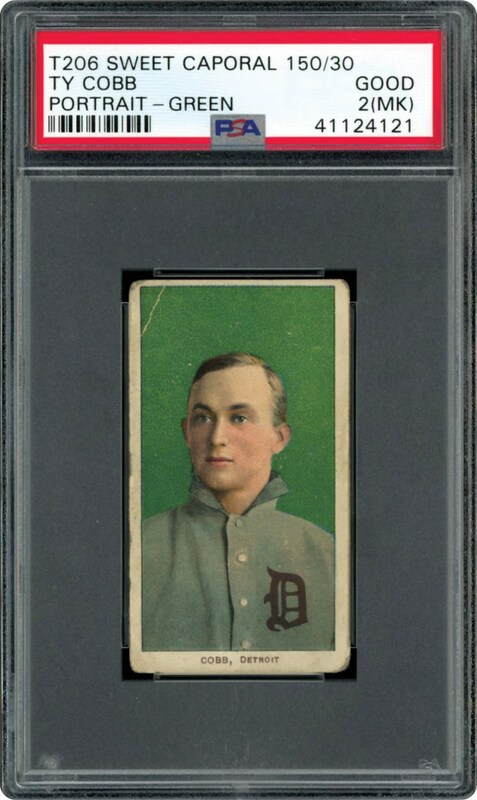 Pre-war enthusiasts would surly agree that one of the "hottest" collectibles in the card market is the hallowed T206 "Green Portrait" that is realizing record prices with each and every sale. 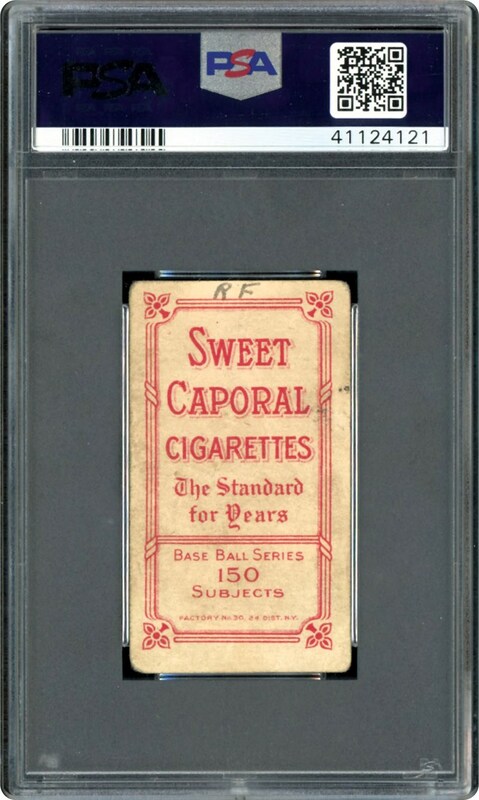 Incredibly, mid-grade examples are now exceeded five figures, with this tobacco heirloom arguably residing as one of the hobby's most coveted tobacco cards. Of the four hallowed T206 Cobb issues, the most coveted and valuable subject is the Ty Cobb Green Portrait pose portraying Carl Horner's seemingly timeless Cobb image. Easily residing as one of the most coveted cardboard mementos in the hobby, it is included on virtually every elite enthusiast's "top 10" list including PSA's "Top 250 Sports Cards" publication. Presented here just happens to be a PSA 3 Green Portrait Cobb with a Sweet Caporal 150 subjects back. Along with Babe Ruth and "Shoeless" Joe Jackson, no pre-war Hall of Famer carries the prestige among sophisticated hobbyists as the immortal "Georgia Peach". His playing brilliance has earned him pinnacle like hobby accolades, and it was no surprise when the baseball writers of America chose him as one of our National Pastime's five original 1936 Hall of Fame charter members along with Ruth, Wagner, Mathewson and Johnson. He won an unfathomable 9 consecutive batting championships and 12 overall, with his .366 lifetime average still "head and heels" above its closest competitor (Hornsby's .358). Cobb stands as one of baseball's greatest players ever, justifying why his renowned baseball card issues are aggressively pursued by advanced collectors. This Cobb card is one to own. Soft corners with a small upper left side crease with a pencil mark on the upper back create the 2 MK graded. One to own for the Cobb collector.